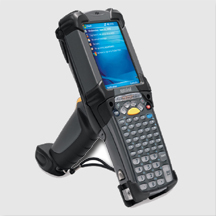 Innovative solutions to your scale and production bar code data collection needs. You ARE at the right spot for scale and weighing systems. We DO systems. We support them. We do them RIGHT! A division of Johnson and Johnson recently contacted Progressive to build a custom weighing system to track batching for a pharmaceutical application. Phase 1 has already been installed and we are working on phase 2. Phase 1 involves multiple scale batching by both weight and volume using an ultrasonic measuring sensor. The measuring sensor was used as a load cell alternative to reduce the need for placing load cells at the bottom of every tank. Weight was calculated using volume and density. H.Krevit manufaturing of North Haven CT, a manufacturer of bleaches and costics, contacted Progressive for a truck scale system capable of bar code scanner integration and controls, weight to gallon conversion, data collection and assure the right chemicals go in the right trucks. After instllation of the truck scale and controls were installed, Krevit saw a huge ROI. Now that the system is installed and running, the truck filling system saves as much as 1/2 hour per truck and is accurate to 2-3 gallons. A client contacted us in need of a Herring Fish Processing Software and Scale System. The time frame was very short, but Progressive came through. This processor pays workers by weight so the fish system needed to collect each weight as well as employee ID's. The system involved 3 networked scales and an SQL database. The main benefits are time savings, accuracy of data and integrated Crystal Reports. Aa freeware softtware for scale companie,. It is called X-Calibar and it is a scale calibration software system. Designed to be a little more simple than say the certificate retrieval systems on the market. This software should work for most small to mid scale companies. And if you are in the market for custom projects, maybe next time you will give us a shot. 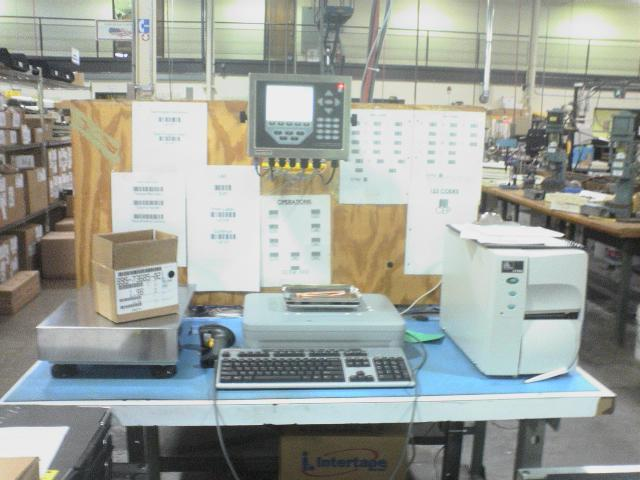 Counting and Labeling Scale System - The worlds largest switch manufacturer contaced PSS to see i f we could develop a networked counting scale that print bar code labels to replace their pricey Intermec fixed station terminals. PSS got to work and developed a system that allows the client to connect to scales in Mexico, TX, CT, England and China all from an IT desktop at HQ. Scales can be programmed and monitored remotely all from the comfort of the IT directors office. In Motion Check Weighing - Washington. A reseller contacted us asking if we could duplicate a program for a Rice Lake 920i that they had been buying elsewhere. PSS took the challenge and built the system. To the clients amazement, the system is far more accurate than the previous system making it easy for the reseller to beat out its competition. 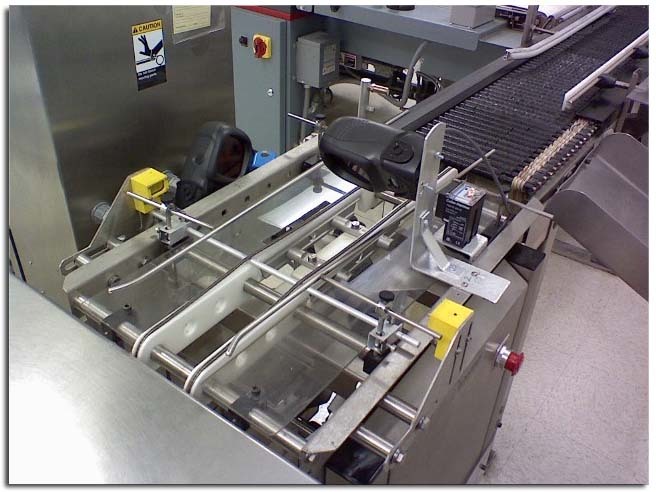 In some cases, the reseller is installing the in motion check weigher on competitive set ups that use the same scale indicator. Clients are thrilled with the accuracy increase. 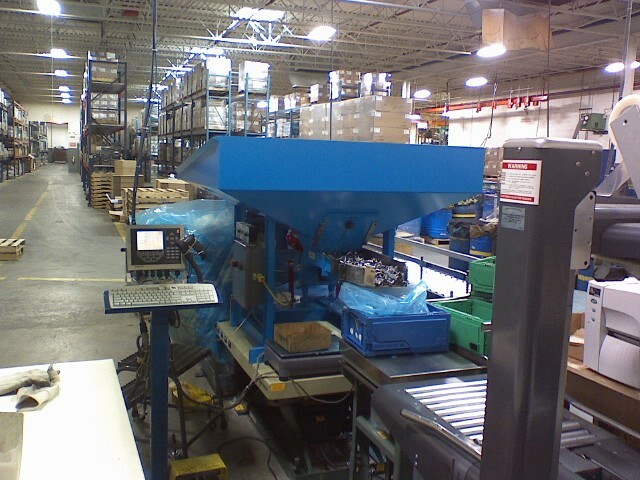 Automated Box Weight Filling System - Greenville , SC . A local scale dealer called in Progressive to pick up a project that the scale manufacturer did not complete to the clients satisfaction.Each box was filling to nearly 1/2 lb over target on every box. A loss of nearly $ 300/hr After consulting with the customer, Progressive devised a new program that would auto learn the product fill rate. Progressive completed the project within 3 days time and now fills exactly to target with 0 loss. 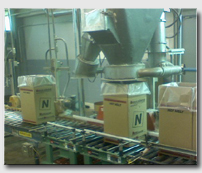 Process includes automated box placement, automated filling, and automated box removal. Soft Indicator - In response to many of the scale distributors we work with we designed a PC based indicator package that works with most scale indicators that have bi-directional RS-232. The soft indicator collects data, prints labels, prints forms, controls the scale and more. Demos are availabel for this product. AS400 to Counting Scale - June 2006. Through a scale distributor in the Northeast, PSS was able to assist in the winning of a contract for a beta site of 4 Rice Lake 920i programmable scales attached to their AS-400. Each scale pulls in job and average piece weight data, customer data and label format data. The system then controls a feeder and stops the feeder when a box is full. 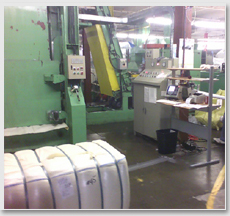 The system then prints a label and logs this info and sends the complete job info back to the AS-400 when complete. United needed a partner to help them track bales produced for a particular PO and prevent over producing. United has 3 networked 920i scales tied to an SQL2005 server. Order data is entered daily and operators make against open orders. The system also labels each bale to comply with the customer labeling rewuirements. the system handles partials, and overrides for stock items. Food Labelling Application - June 2006. A Northeast based scale company asked us to design a labeling system for a chicken processing plant it had been doing business with for years. The current system from Digi (New Brunswick International) was not being supported properly. Therefore we set out to develop a chicken labeling system that was similar yet easier to maintain. The new system utilizes a Rice Lake 920i and a Zebra label printer to print pricing labels for the processors grocery store clients. We had 2 days to develop this system and it has been operational ever since. Large Scale Batching Application - APR 2006 A North Texas Scale Company hired us to help sell a client on a new way of doing things as their old equipment was no longer supportable. We closed the deal together and delivered shortly thereafter. This system replaced 13 scale indicators and 1 programmable scale at the largest PVC pipe extruder in the US. The new Rice Lake 920i system now controls 16 scales and esentially the entire 24hr operation. The system processes approximately 150 batches per day and has not once failed.